My AF-S 85mm F/1.8 Nikkor sits in my studio. 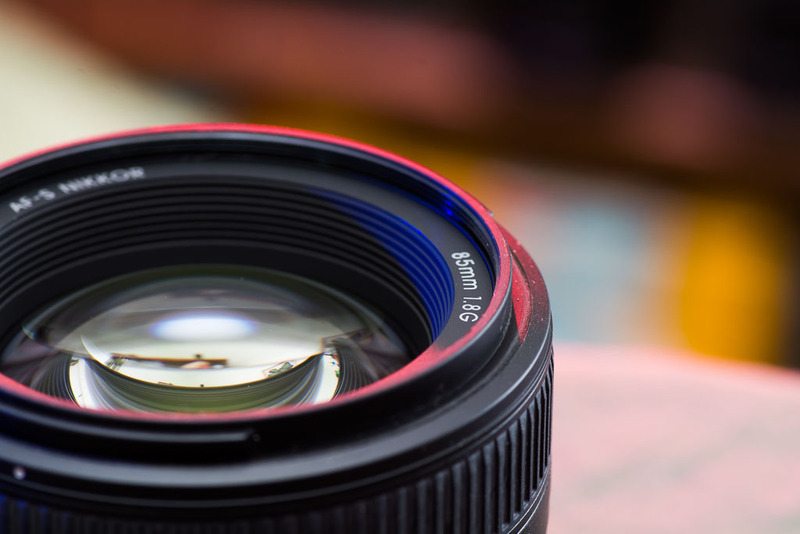 It’s a nice image of a great lens, but it feels weird not having a filter and a hood on it. It’s no secret that I am a lens guy. Old and new, cheap and expensive, I think photographic lenses are fascinating. I have quite a few lenses, from the tiny, dusty, fixed-focus, brassed-up lenses on my Kodak Retina, to the heavy, complex f/2.8 sports and news zooms I use every day. But if you ask me to name an all-time favorite… wow. All those lenses. But, my all-time favorite lens has to be the 85mm. Abby and I pose for a portrait in beautiful autumn sunshine recently. I handed our photographer friend Robert my Nikon D7100 with the AF-S 85mm f/1.8 on it, knowing that his expertise and that lens would give us a great result. I have owned three, the AF Nikkor 85mm f/1.8 of 1990s vintage, the Nikkor 85mm f/2.0 of early-80s heritage, and my current 85mm, the AF-S Nikkor 85mm f/1.8G. 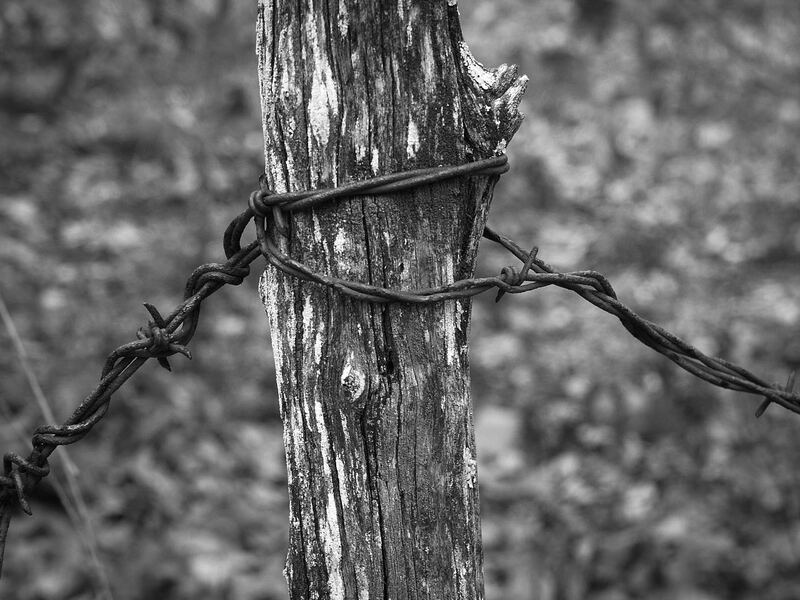 Over the years I read that the oldest of the three, the f/2.0, wasn’t great, but my experience differed. It was an amazing lens. The least of the three was the AF from the 90s, optically similar to the others, but built with a lot of plastic, including a plastic bushing in the focus chain that wore out and made the lens stiff. Eventually Nikon stopped supporting it so I could no longer get it repaired, and I stopped using it. I eventually gave it away. My current 85mm is a real gem. I wrote about it a couple of times right after I got it, but I thought it would be helpful to mention that after three years with this lens in my bag, I use it as often as I can, from weddings to portraits to commercial work, with lots of occasions when I grab it to photograph my wife Abby or our dogs. 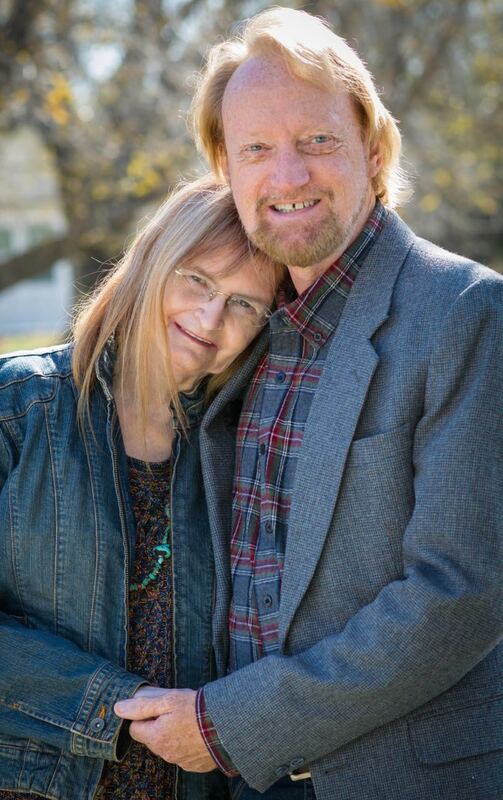 Our photographer friend Robert used it to photograph Abby and me in November, and those images are among my favorite all-time images of us. In class in October, I handed this 85mm to a photography student, Daniel O’Danielle, who used it for about 30 minutes. The next week, she had a new one on her camera. I also recently talked about this lens with another photographer who has one, Dan Marsh, who also sang praises about it. I thought of all this last night at sunset. 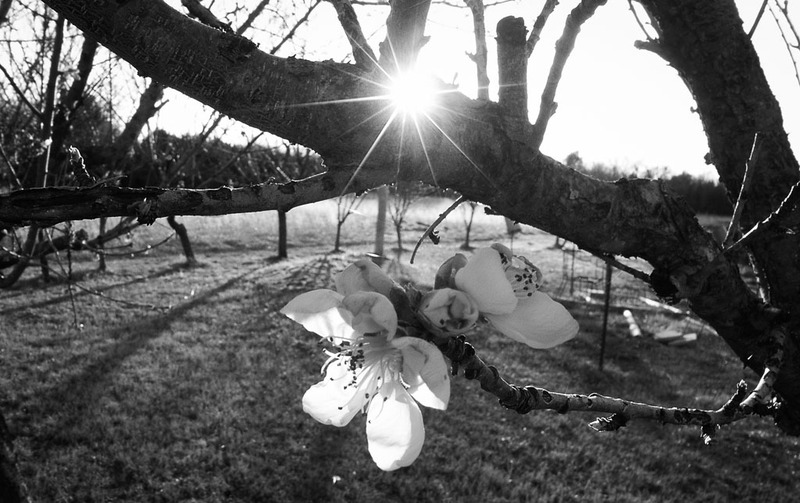 I grabbed the 85mm once again and walked out to photograph the peach blossoms in my orchard. It didn’t disappoint me. My peach blossoms take on a subtle beauty as the sun sets last night. This image took the AF-S 85mm f/1.8 to its limits: shot at f/2, this image was made right at the len’s closest focus point. It is sharp, the colors are dazzling, and the background moves away as gracefully as Audrey Hepburn. 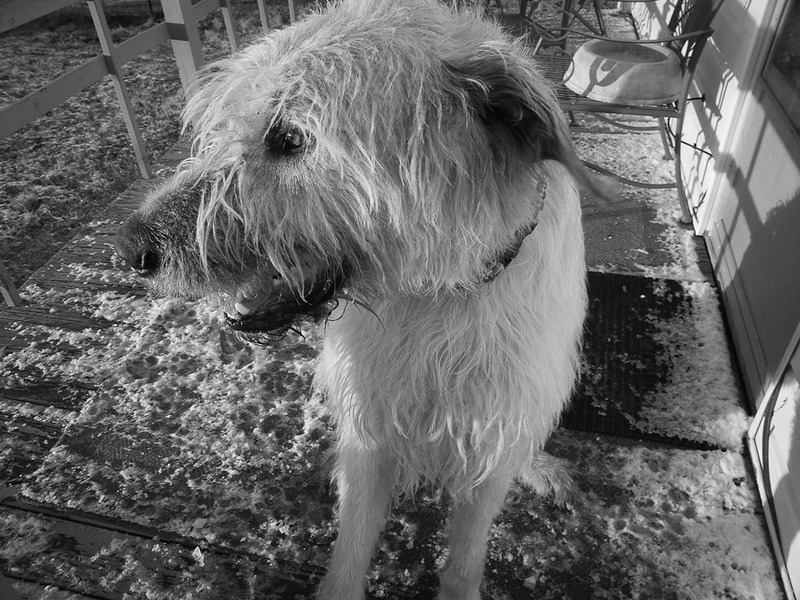 I continue with the “monochrome challenge” with these images, all made while walking my Irish Wolfhound Hawken. 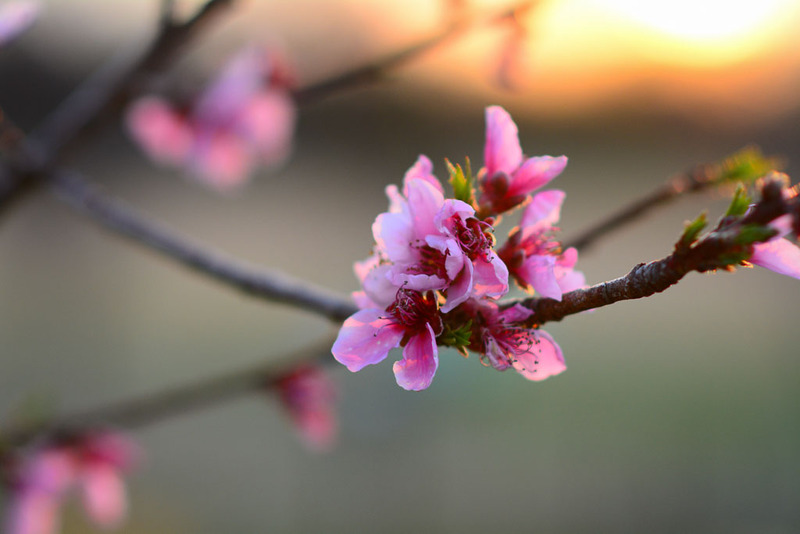 Peach blossoms reach for the setting sun. After what seemed like an interminable, cold winter, we have experienced some very nice springs days. The oil lease road on the north end of The Patch curves away from me. I don’t know if this is art or is pretending to be art. 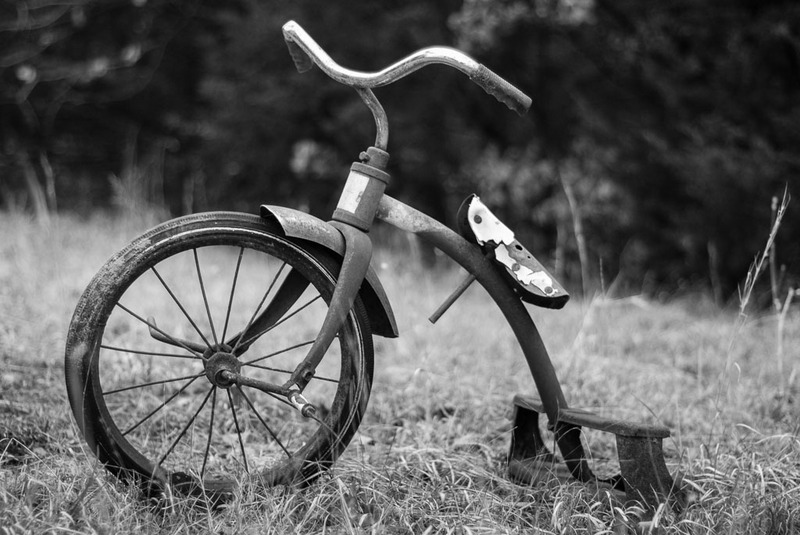 I feel like I’m spinning my wheels when I photograph it. 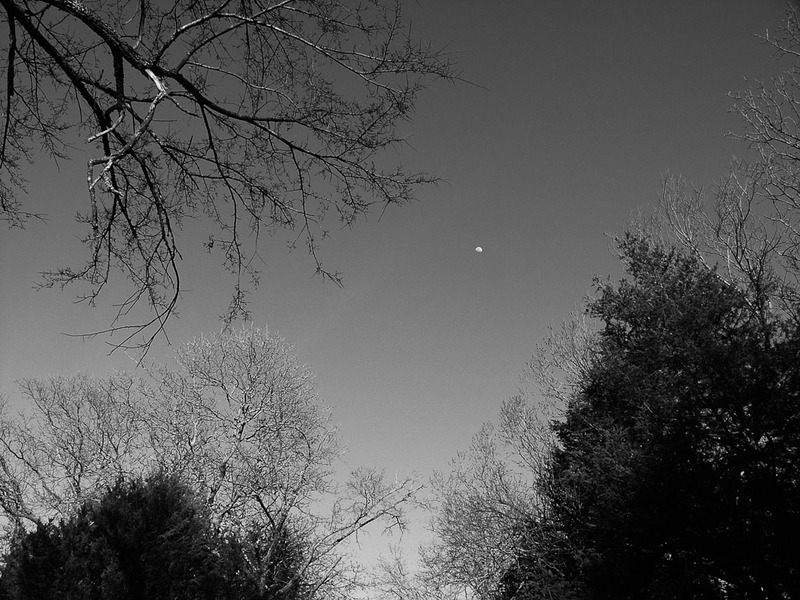 The moon rises above tree branches as buds just appear on their tips. This is an early weed called purple dead nettle. I shot this on my way to work this morning, fortuitous that my first assignment required a different route to work than I usually take. I jumped out of my car and half-ran across a mostly-empty four-lane highway to get into position. Steam billows over a farm pond between Byng and Ada, Oklahoma Saturday morning, March 16; shot with the Nikon D300S and the AF-S Nikkor 80-200mm f/2.8. 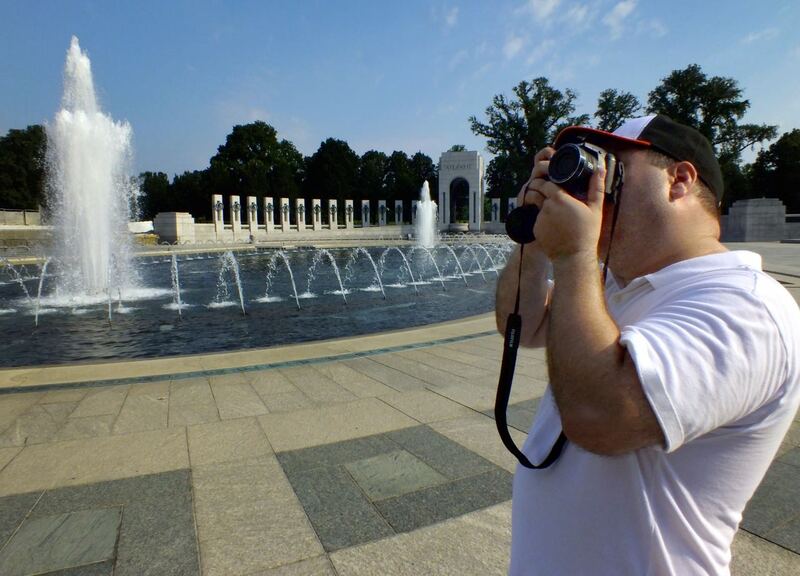 Our son-in-law Tom Reeves uses his FinePix S4500 to photograph the World War II National Memorial in Washington DC in 2013. 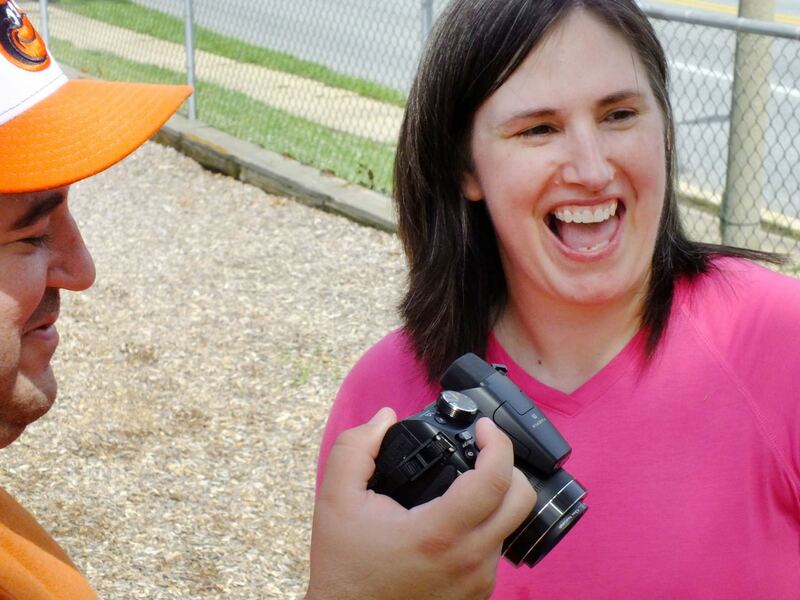 My wife Abby and I gave this camera, the Fujifilm FinePix S4500, to Abby’s daughter Chele and her husband Tom in 2013. Tom used it extensively on a trip we made to visit him that year in Baltimore, to photograph a D.C. walking tour. Abby and I have several FinePix cameras (like the HS30EXR,) which have become our favorites when we place having fun at the top of the list, like when we are hiking, on the road, or at an event like family reunions. 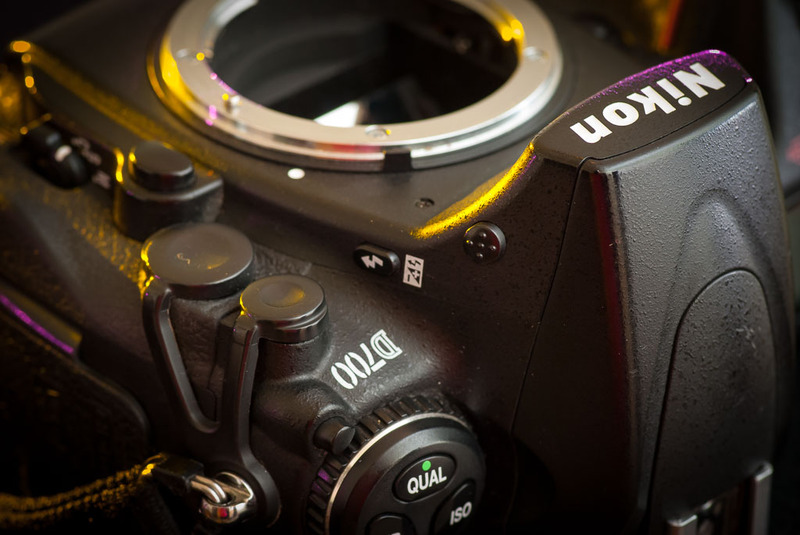 Smaller cameras like the these, in a class referred to as bridge, walkaround or crossover, allow the handling of a DSLR while offering the convenience of a point-and-shoot or even a smartphone. I made this wide angle view of an exterior while working in December using the S4500. As you can see, it is sharp, and color is good. 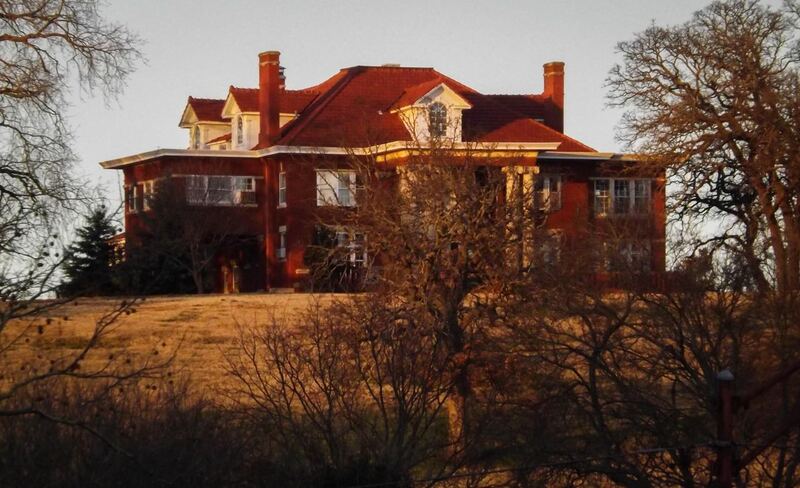 Later that evening made this image of the House on Goose Hill at the telephoto end of the S4500’s zoom. I is not as sharp as the wide angle end, but usable. The S4500 features a versatile wide-to-telephoto zoom lens, but doesn’t not have a zoom ring or a manual focus ring, relying instead on a W and T rocker switch around the shutter release for zooming. 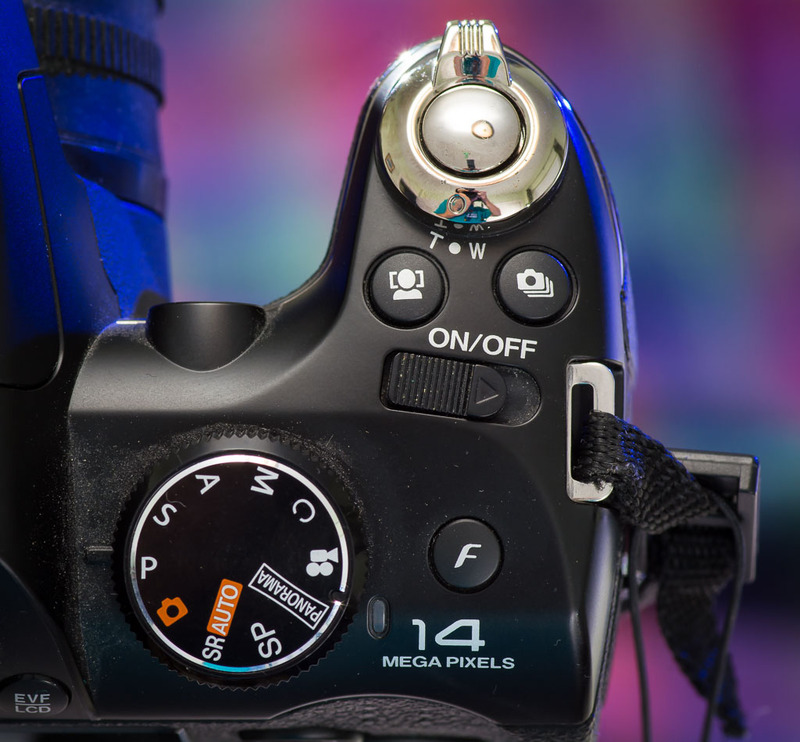 There is no option for manual focusing, though I seldom use manual focus on my other bridge cameras. In hand, this camera handles like a camera, not like a toy or a computer, which is why Abby and I were attracted to it. A big plus to cameras in this class is the huge zoom range they offer, making it a one-camera solution for all kinds of photography. The sensor in this camera is quite small at 6.17mm x 4.55 mm, both to keep the camera compact, and to make it cheaper to manufacture. 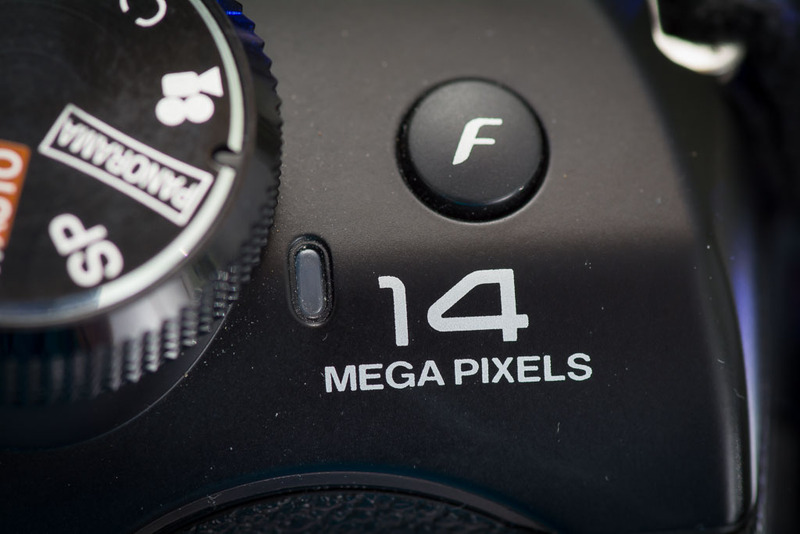 14 Megapixels is enough, particularly when each pixel is so small crammed into a sensor the size of a raisin. 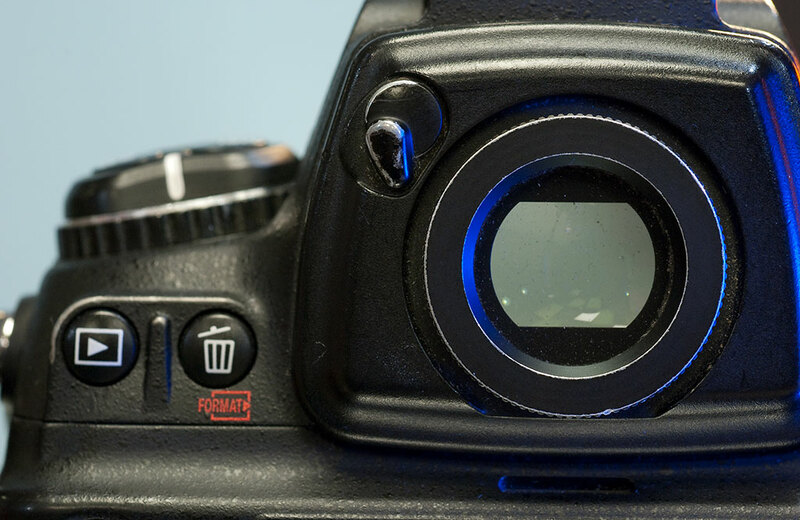 There is an electronic viewfinder and a display on the back of the camera. 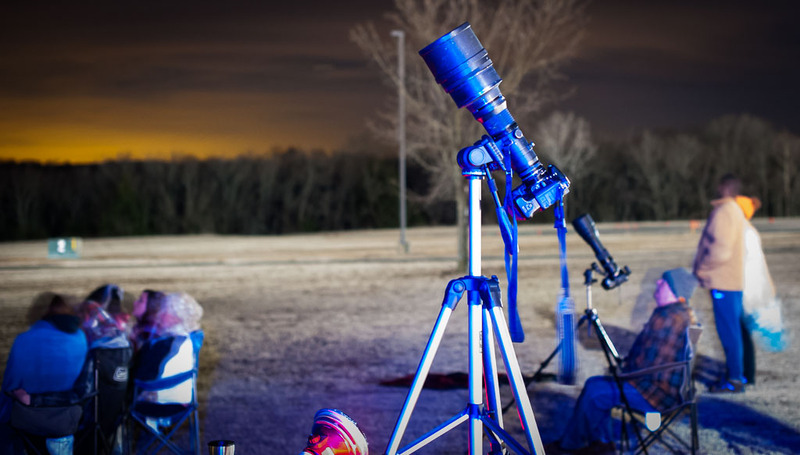 For my work, an electronic or optical viewfinder is a must, though I know most people get along fine with the arm’s-length view that smartphones provide. Color is good; this is a Fuji strength for me, though not everyone agrees. High ISO noise makes the camera unusable in low light. I tried to make a feature photo of the score table at a basketball tournament, and it was a mess. The S4500 has a real PASM exposure dial, a must for me. Of course, it can fall back on green box (red in Fuji’s case) mode and scene modes, which I never use. Like a lot of lenses on this class of cameras, this 24-500mm “equivalent” zoom is a jack of all trades but master of none. It is an especially mediocre telephoto. 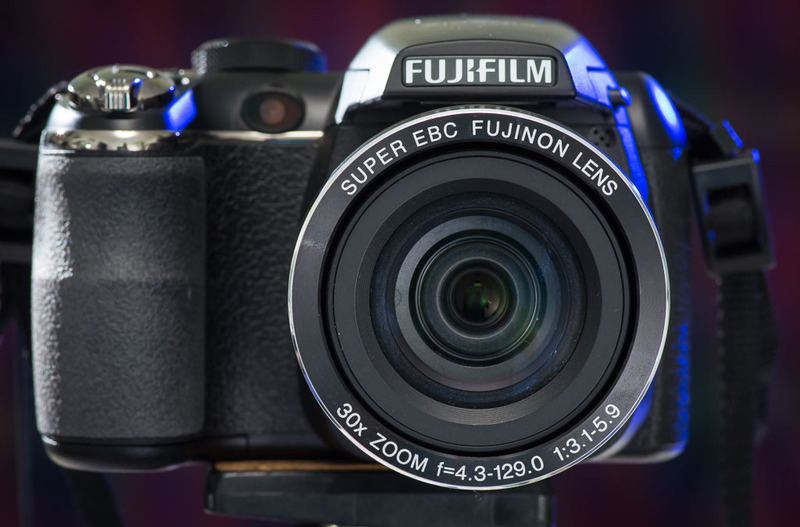 The FinePix S4500 has a pretty standard control setup. Zooming is via a ring around the shutter release. Other controls are where I like them, though over the years I’ve worked with so many cameras (due to teaching photography), I almost always have to search for where electronics engineers put them. Making the same functions a little different in every camera generation and every brand doesn’t really serve photography, but is all about marketing and creating entertainment in camera sales. 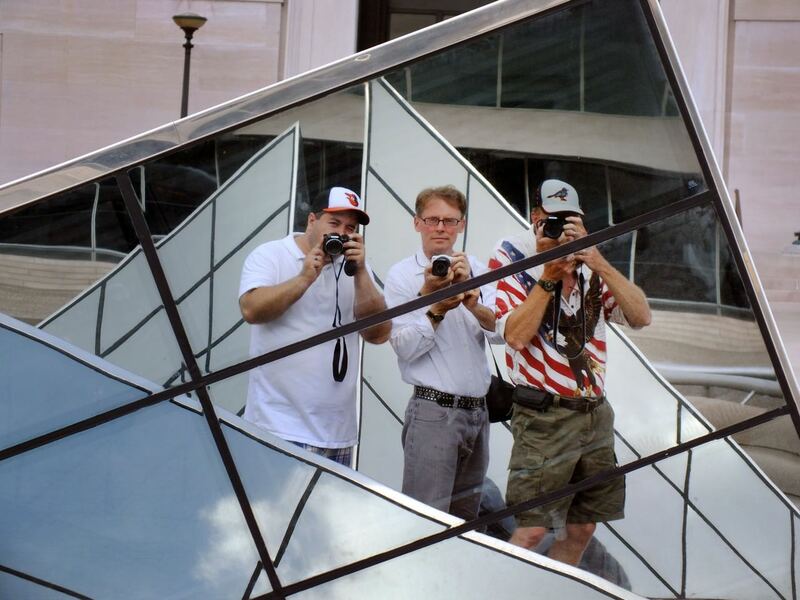 Tom, Robert and I make pictures in a mirrored display near the Capitol in Washington D.C.
Like all tools in our photographic tool box, the FinePix S4500 has a place. It is fun and easy to use, lightweight and quiet, and does a lot more than a smartphone. I am very glad we got this one for Tom and Chele. Tom and Chele share a moment as they make pictures with their FinePix S4500. 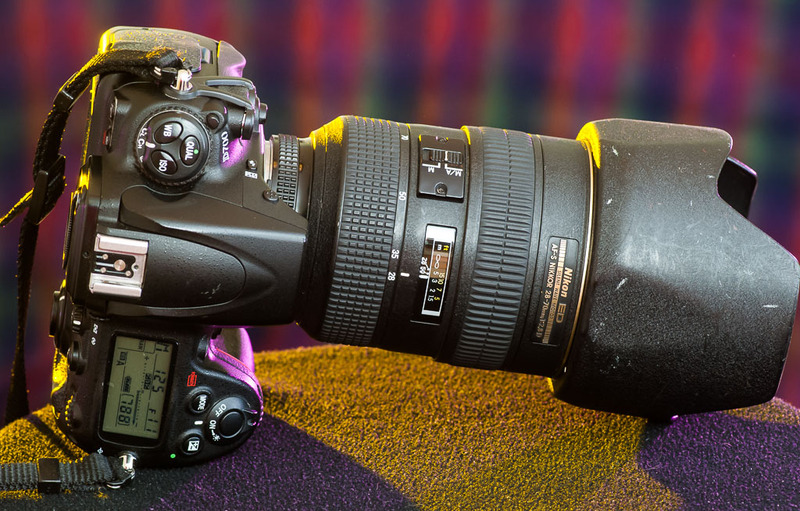 My well-used Nikon D700 sits in my studio recently. I have no problem buying used cameras with a lot of cosmetic wear, since I’m going to start using them, not admiring them, immediately, and in the process will create lots of of cosmetic wear of my own. 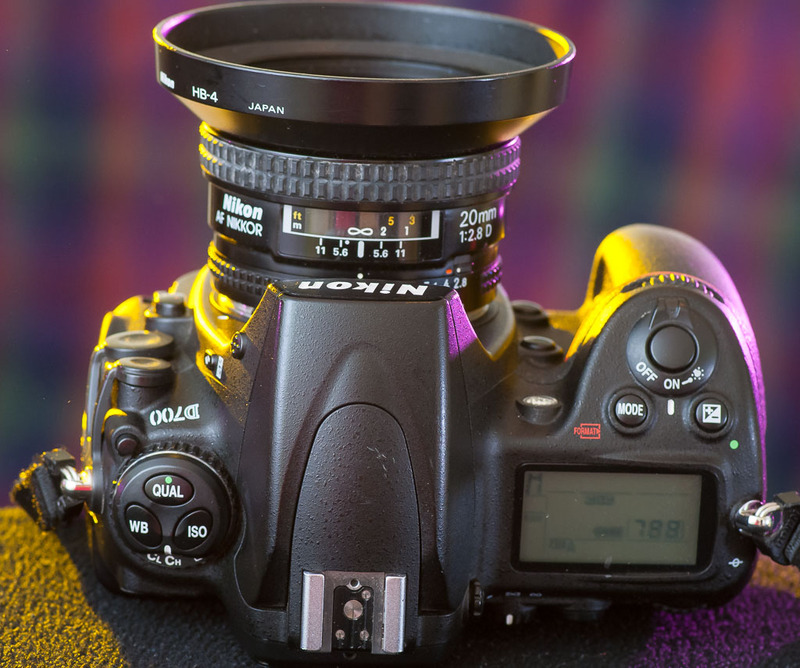 In the 2000s, camera makers like Nikon and Canon introduced digital single lens reflex cameras (DSLRs) equipped with so-called full-frame sensors, imaging sensing devices that were the same size as an antiquated piece of 35mm film. My Nikon D700 poses in my studio recently. I have one such digital SLR, the Nikon D700. It is a professional machine on every level, from build quality to image quality. It is big, heavy, and built like a tank. It is so heavy, in fact, that I am a little glad I don’t use it every day at work. My D300Ss are heavy enough, but don’t begin to challenge the D700. Much of the weight of cameras like this is one reason mirrorless cameras are overtaking DSLR sales. 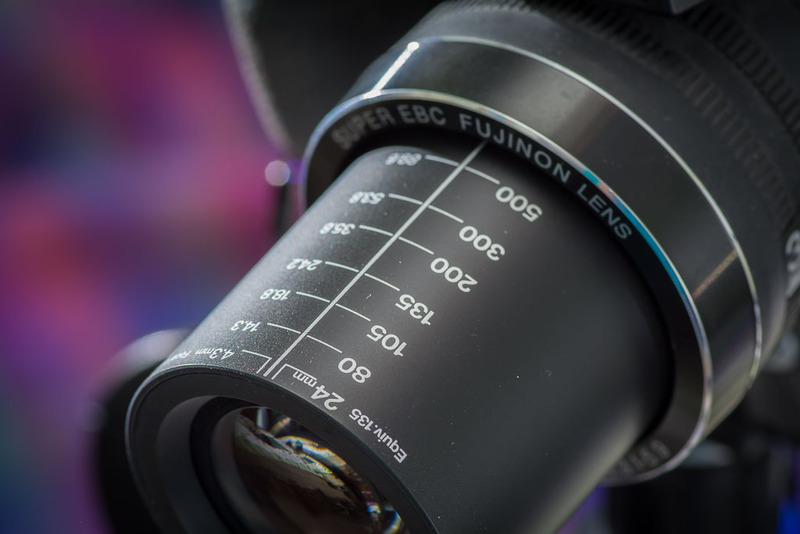 Combined with better electronics systems that can be made lighter and faster-operating, mirrorless does away with all the mechanics of the mirrors and pentaprisms. One of the best ways to tell if a photographer works hard and shoots a lot is to look at his or her gear: working photographers wear out their equipment. 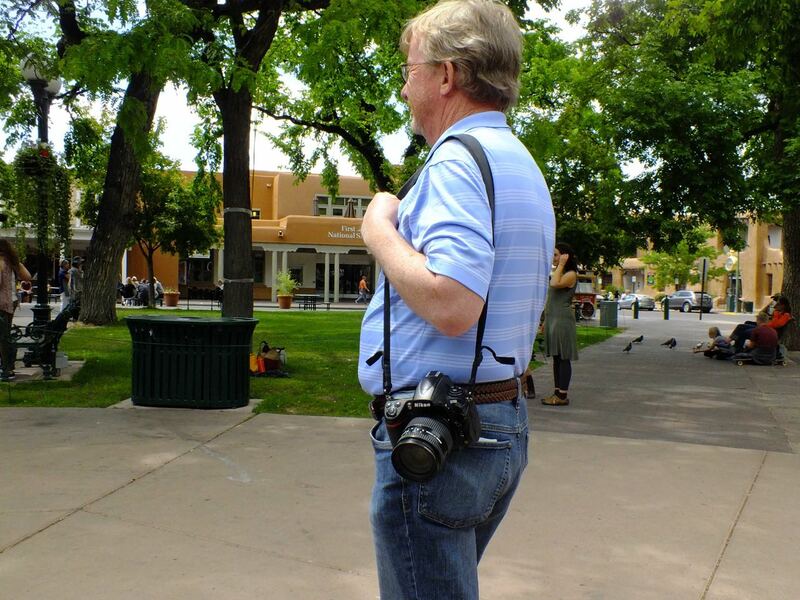 I saw this D700 in use on The Plaza in Santa Fe when Abby and I were there recently. A deceptive concept about formats is that larger formats exhibit “better” selective focus in the form of shallower depth of field. But the truth of this is buried in marketing and the internet. 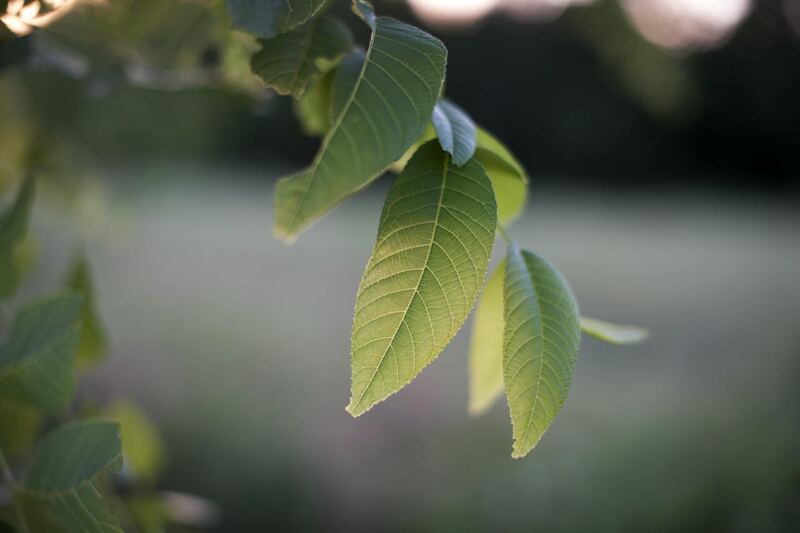 Depth of field isn’t controlled by format size, but by aperture and magnification. Larger-format afficianatoes don’t seem to understand that when shooting with a camera like the D700 with the same lens they might have on a smaller-format camera, they have to move closer to fill the frame with the same subject. That’s what makes depth of field shallower, not the size of the sensor. 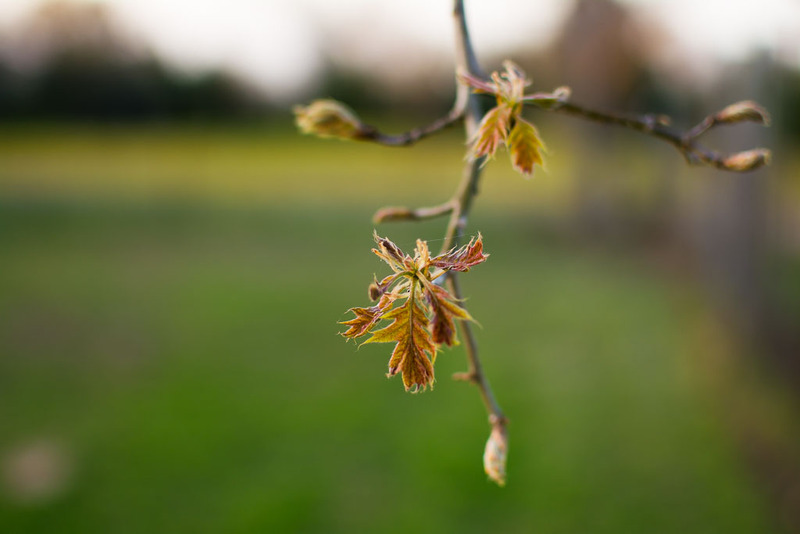 …this image of an oak leaf made with my Nikon D7100 and the 35mm f/1.8 at f/2.0. I had this discussion not long after I bought my D700. You can read it here (link). 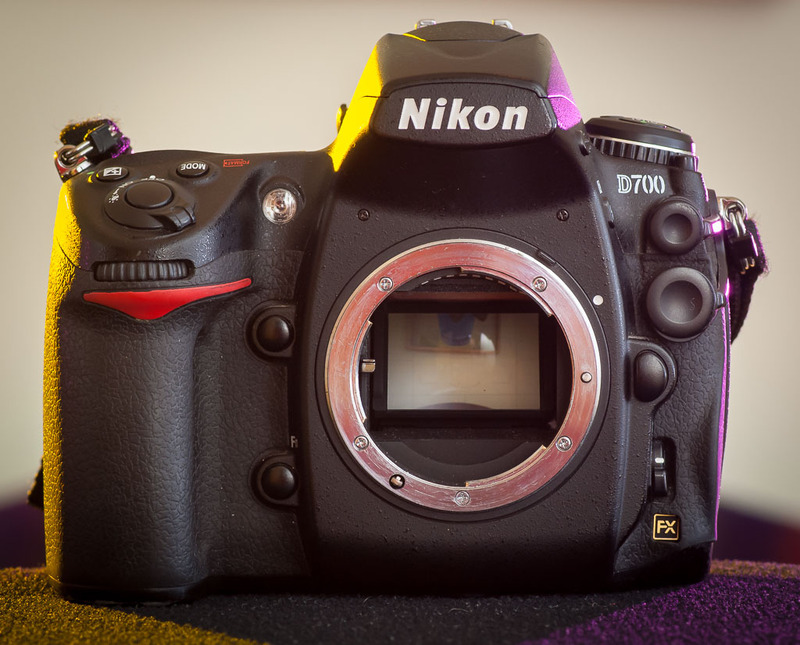 The D700 was one of Nikon’s earliest moves into the 36x24mm sensor market, and despite having been replaced by numerous newer models, the D700’s build and reputation create a higher than average cost on the used market. The Nikon D700 is able to take advantage of wide angle lenses designed for 35mm film photography, like this, the excellent AF Nikkor 20mm f/2.8. 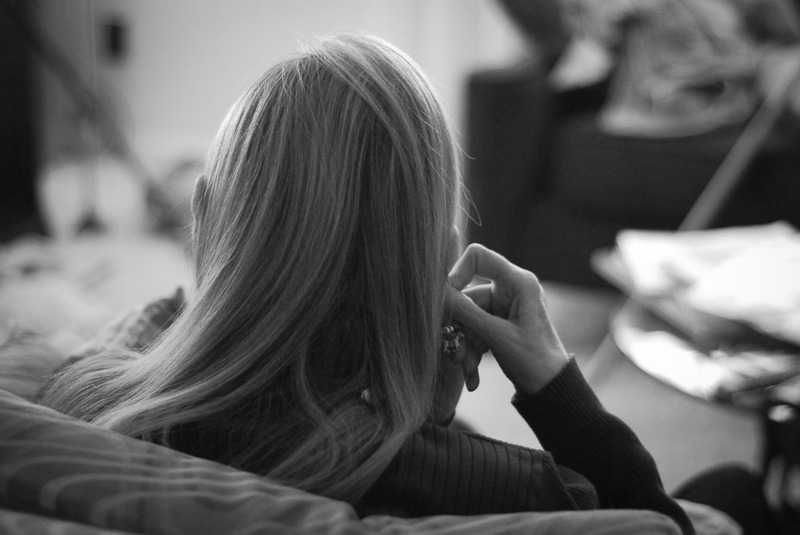 When I grab my D700, which usually has a larger lens on it, I feel it immediately. All that brass and glass tugs at my elbow and shoulder and reminds me why I try to lighten my load when I am able. One thing that is true among the information and misinformation on the web about “full-frame” is that sensors of the 36mm x 24mm will restore your 35mm film lenses to their former glory, as in this image made last fall with the 15-30mm Sigma lens at 15mm. Files from the D700 are smooth, sharp and low-noise, and even with RAW file compression turned on, have a remarkable amount of color data. Despite the size and weight, the D700 has never let me down, and I hope to continue to make great images with it for the foreseeable future. The hefty Nikon D700 wears the even heftier AF-S Nikkor 28-70mm f/2.8. The combination creates dazzling images, and is a great choice for events like weddings. Gage Brown holds his baby, Andeigh, up to a frosted door in Ryan, Oklahoma, January 2019. Apple iPhone 7 Plus. 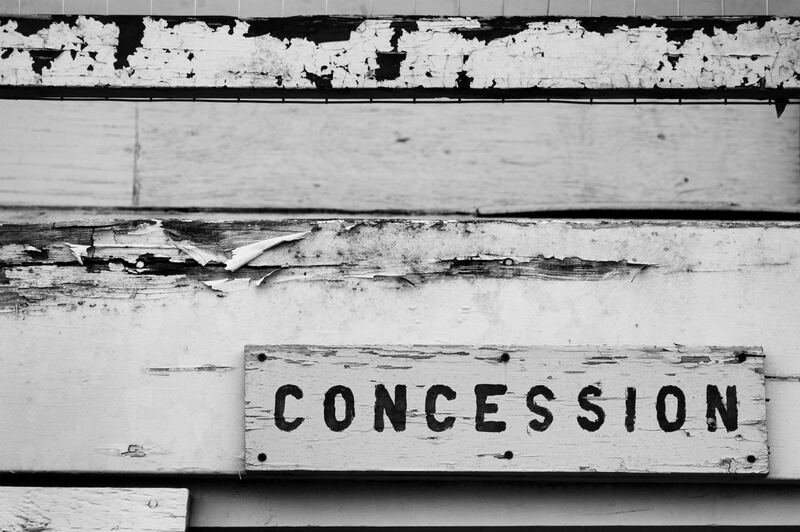 Concession Stand, Allen, Oklahoma High School, August 2006. 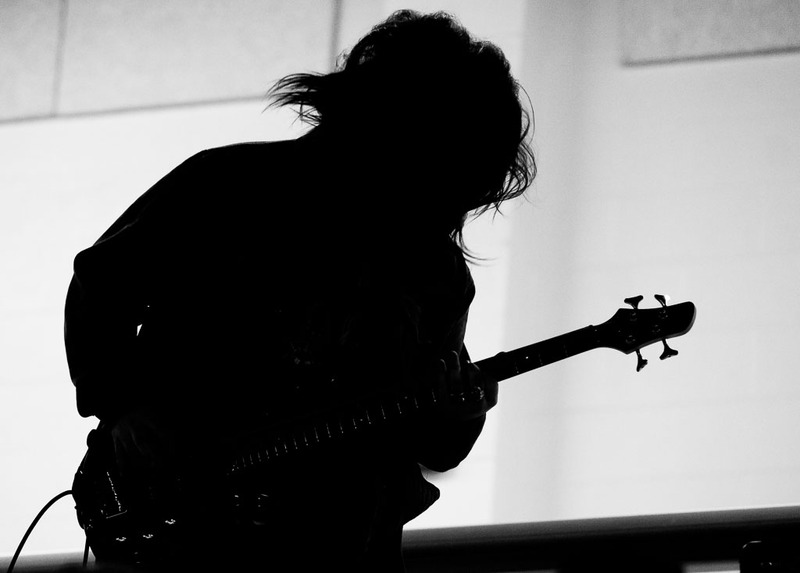 Guitarist, Ada High School Stage Band, Jan. 29, 2019; AF-S Nikkor 80-200mm f/2.8. My wife Abby puts in earrings Jan. 29, 2019. AF Nikkor 50mm f/1.8 at F/2.0. 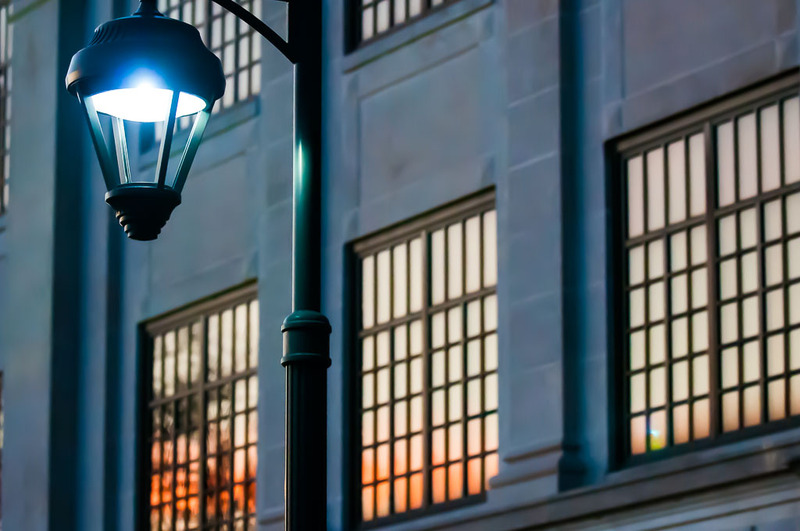 A street light switches on as evening sky lights the Pontotoc County Courthouse Thursday, Jan. 17. This image was made with the AF-S NIkkor 80-200mm f/2.8. 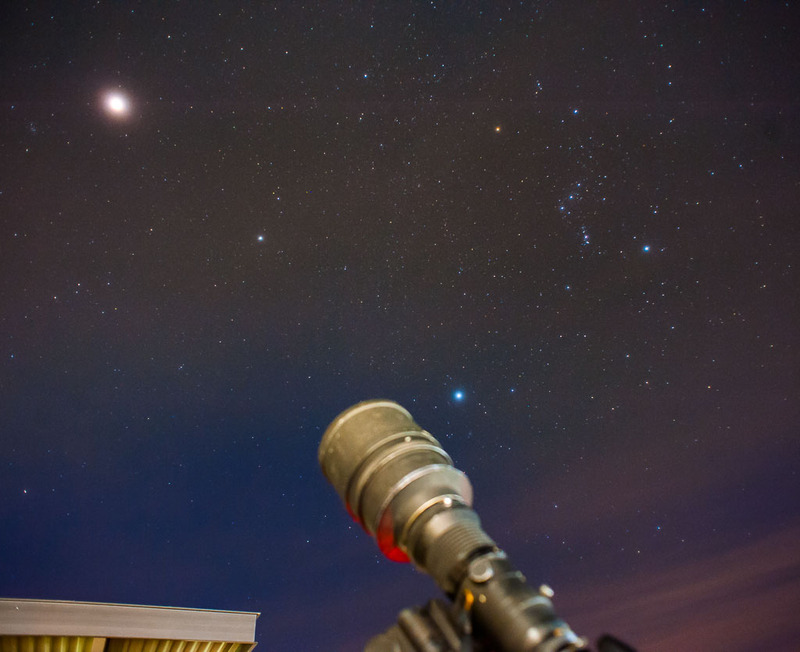 The eclipsed moon and the constellation Orion are visible in this view of the night sky Sunday, Jan. 20, 2019. 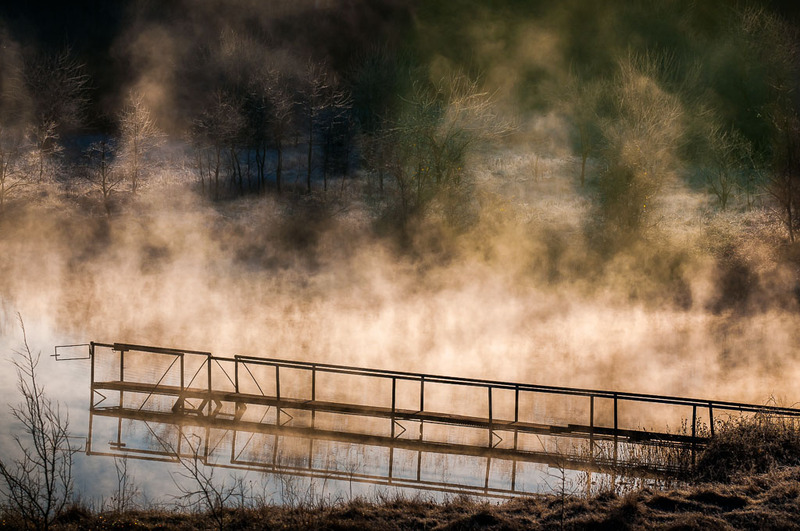 This image was made with the Nikon D700 and a 20mm f/2.8 AF Nikkor lens. 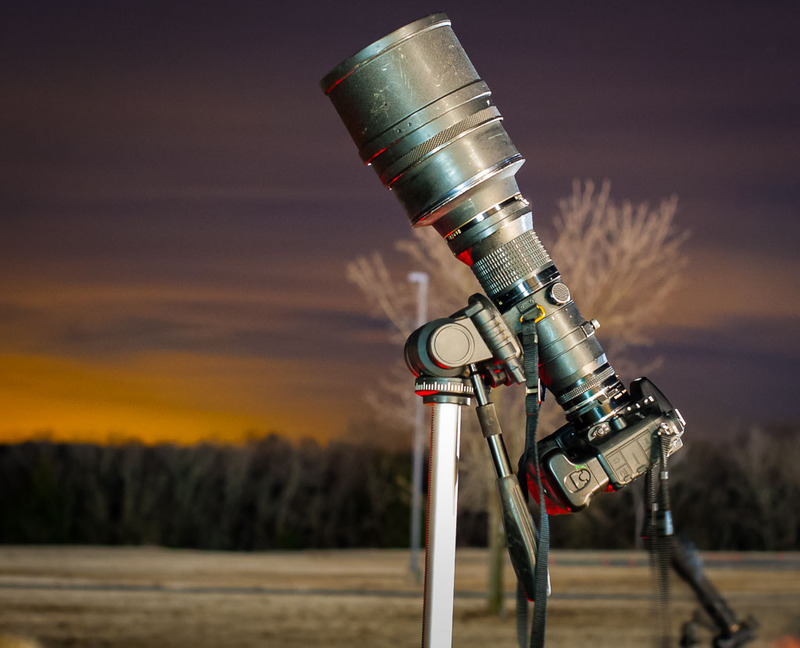 The author’s 400mm f/3.5 Nikkor points skyward toward the lunar eclipse of Jan. 20, 2019. 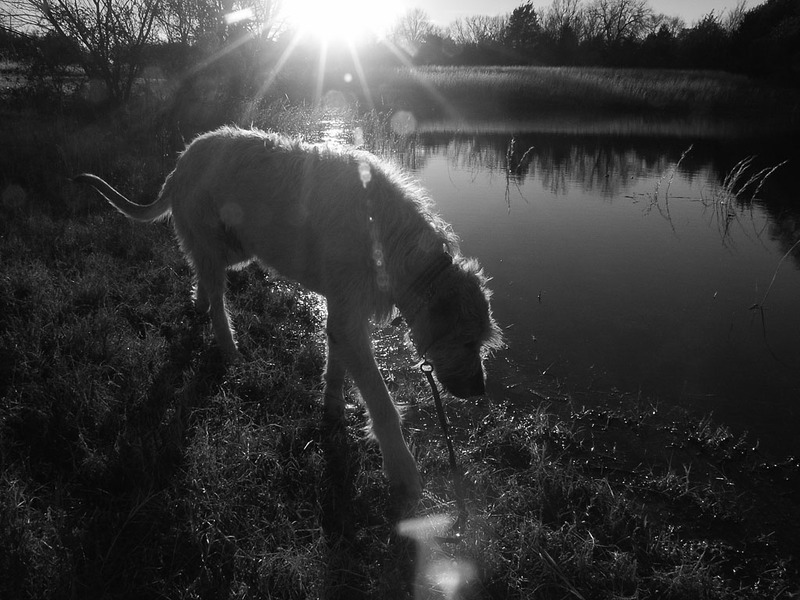 This afternoon got its light together at the last minute, as I walked Hawken, our Irish Wolfhound. In color, it was certainly something. 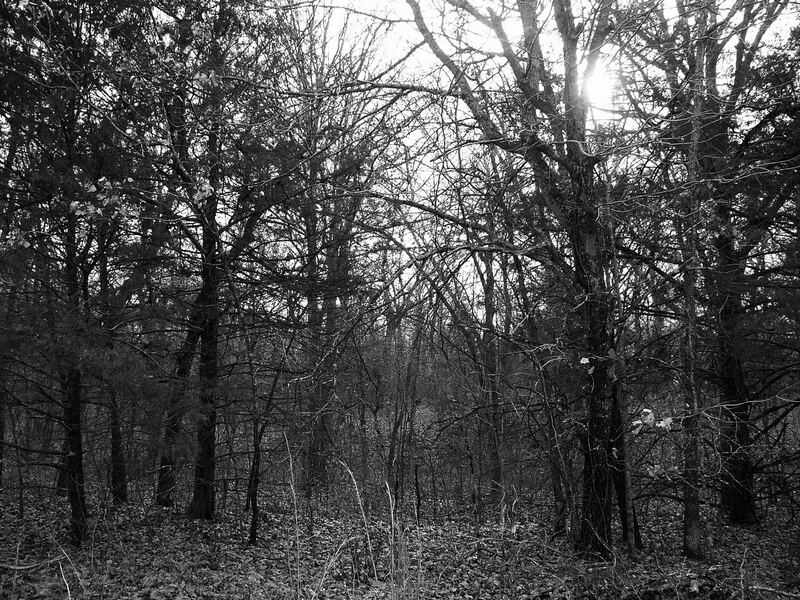 In monochrome, it was definitely something else. Hawken’s personality shows as he explores the first snowfall of his life. 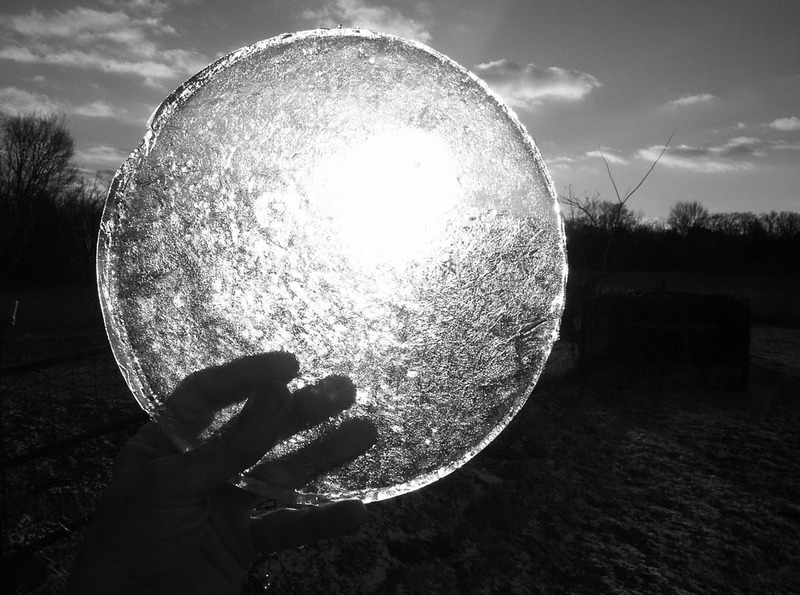 I lifted up a disk of ice that had formed in Hawken’s water bucket. 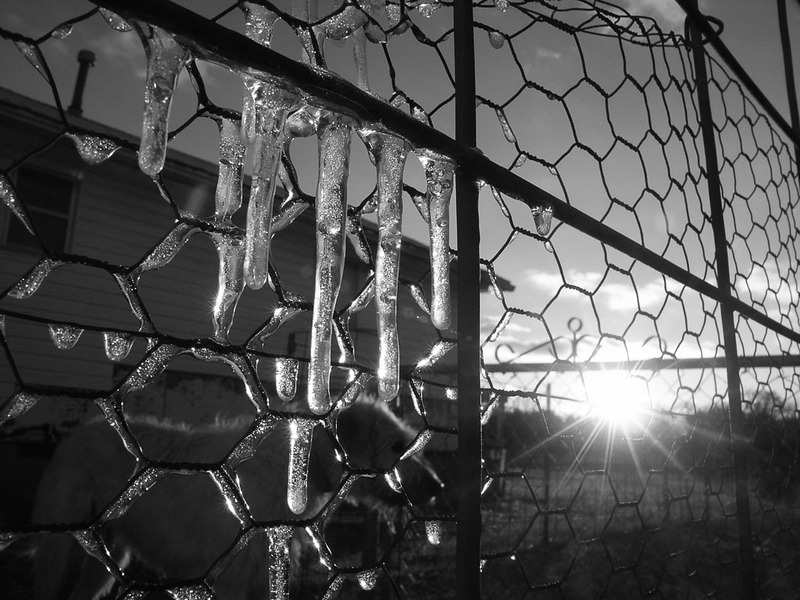 Small icicles formed on the fence as snow melted and re-froze. 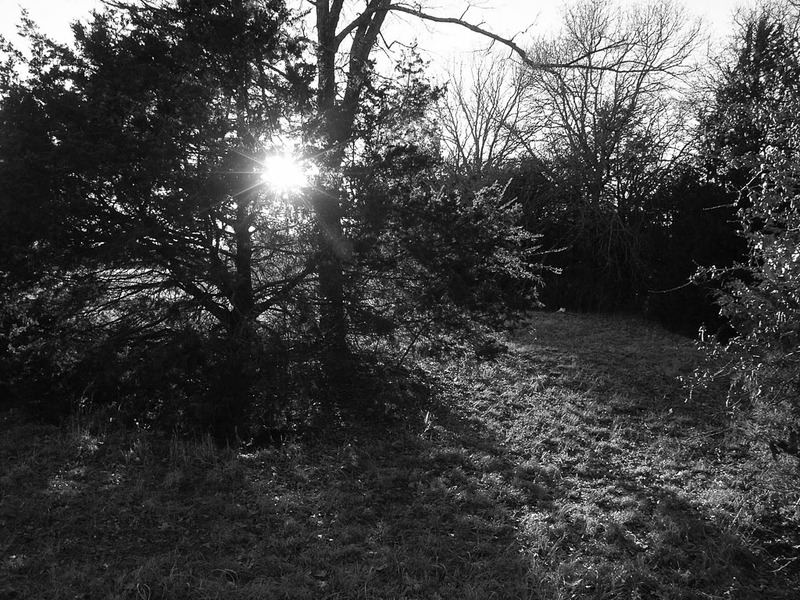 The sun shines through a cedar. 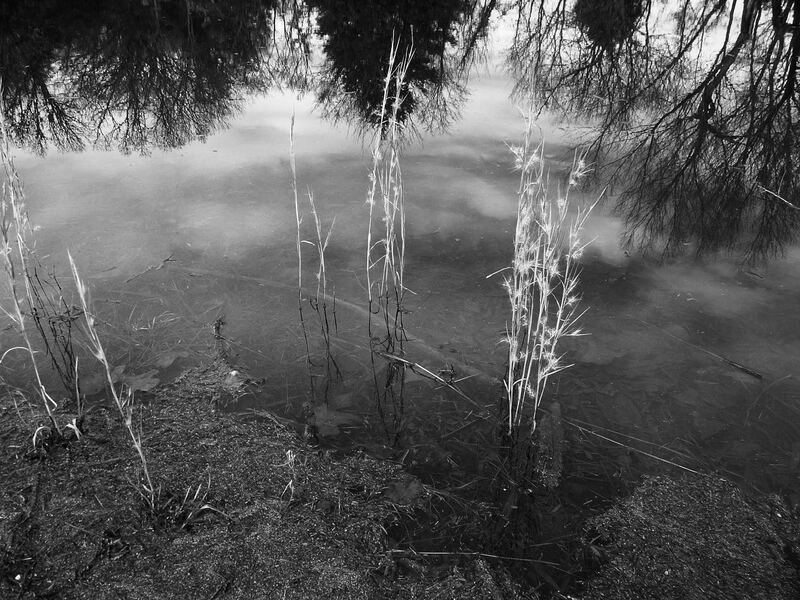 Wheat grass stands in the pond, which is as full as it’s ever been. 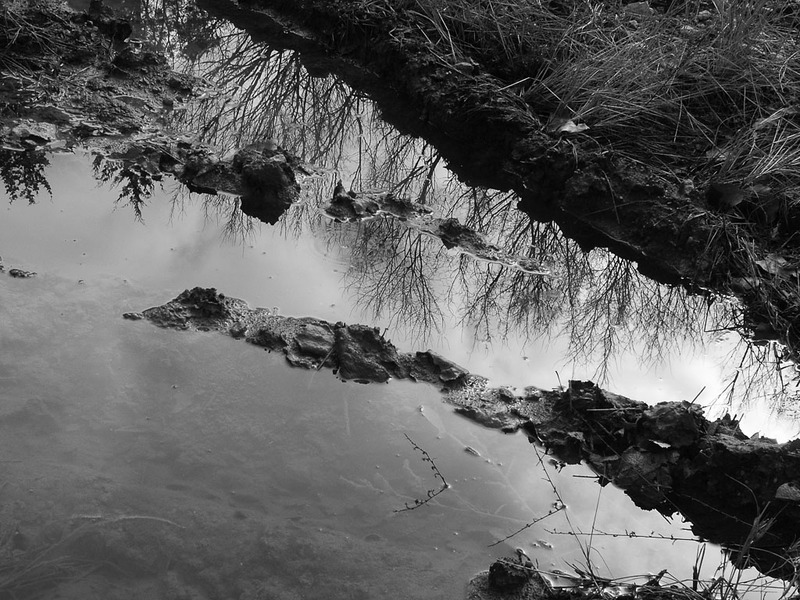 Puddles reflect the sky on my long walk with Hawken. 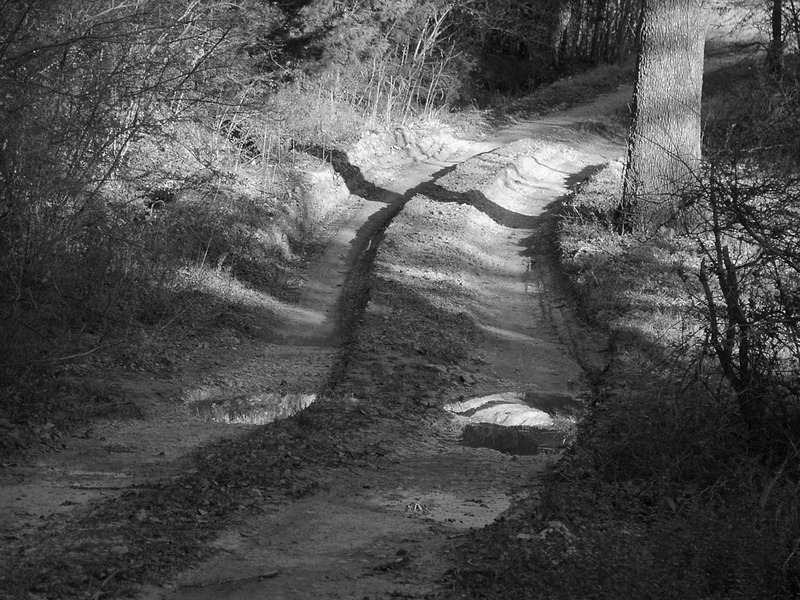 These images were shot entirely in monochrome capture mode, not shot in color and converted later. The lunar eclipse of Jan. 20-21, 2019 is the last total lunar eclipse visible across the United States for the next 18 years. 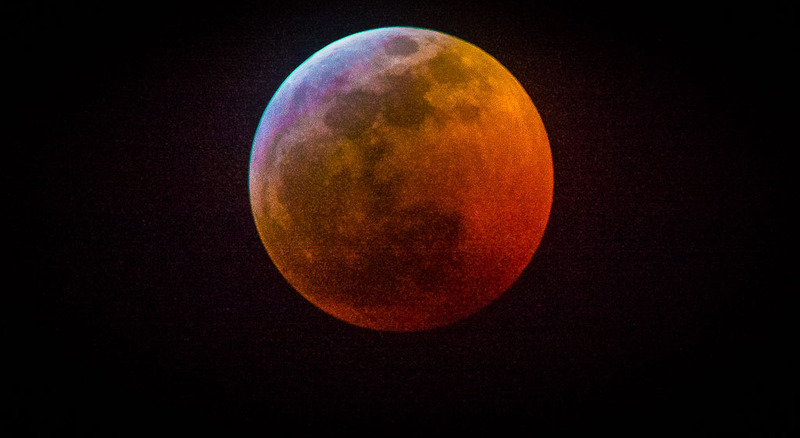 I hosted a lunar eclipse party for the so-called Super Blood Wolf Moon Sunday night, Jan. 20 into the early morning hours of Jan. 21. I felt it went exactly as I had hoped, with between ten and 20 in attendance, some watching, some making pictures. 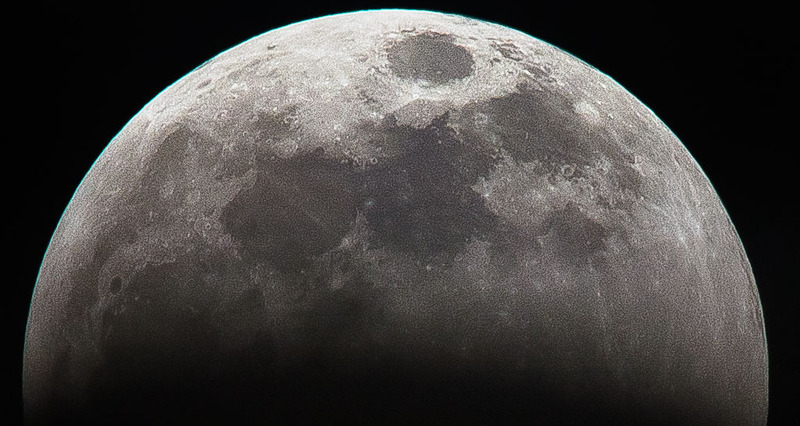 The earth’s moon is visible in the upper left portion of this frame as it becomes eclipsed by the shadow of the earth Sunday night, Jan. 20, 2019. 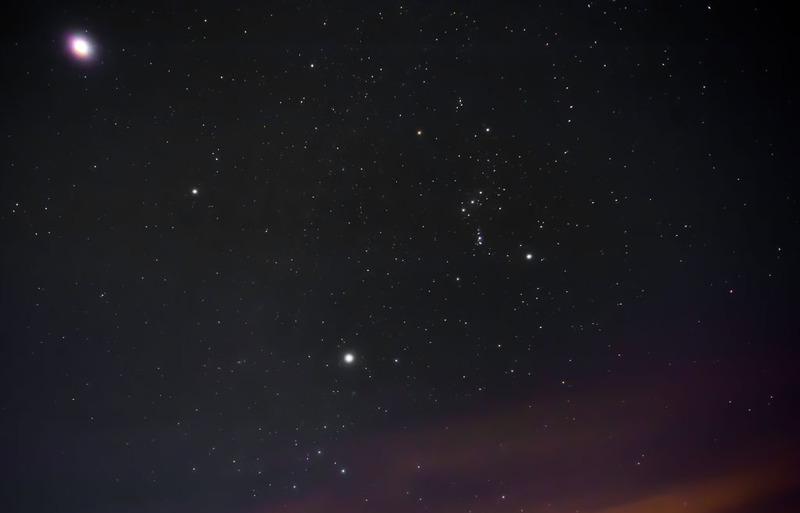 The constellation Orion is visible in the upper right section of the frame, shot from the Pontotoc Technology Center in Ada. I made this images with my aging but excellent AF Nikkor 20mm f/2.8. My old 400mm f/3.5 Nikkor isn’t a telescope, but it can make decent pictures of the moon. The evening was cold and got colder as the wind gradually picked up. My entourage stuck around in their camp chairs and blankets until the moon turned reddish with a touch of purple and blue, then packed up and went home as the wind continued to increase. The cold got sharp enough that I got my camp coat, the warmest garment I own. I made the tight images of the moon in its phases with my 1985-vintage Nikkor 400mm f/3.5 IF-ED, mated to its excellent Nikon TC-14 teleconverter. On my Nikon D7100, a camera with a 25mm x 15mm sensor, the full moon still fills up less than a sixth of the frame. 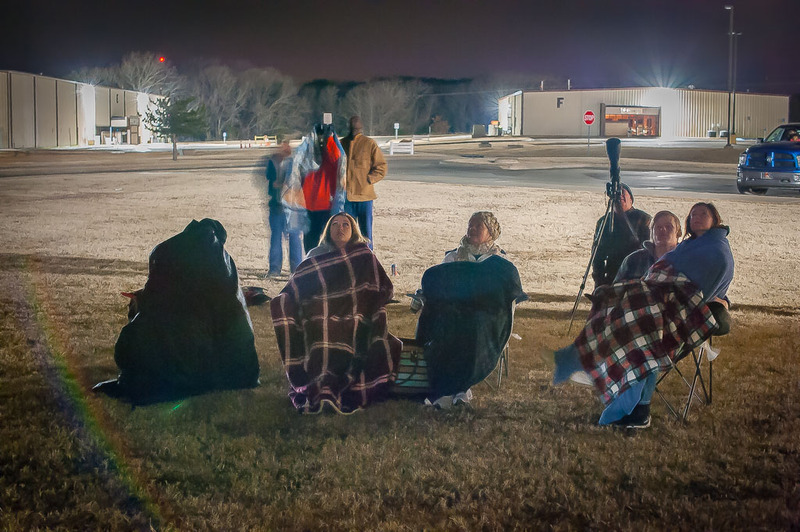 A group of intrepid sky gazers brave cold temperatures as they watch as the lunar Eclipse of Jan. 20, 2019 at the Pontotoc Technology Center. 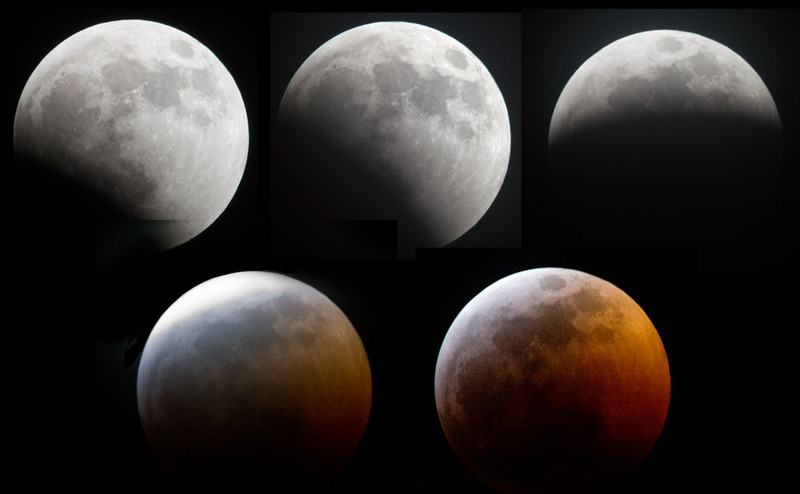 As the totality approached, exposures changed drastically, from the bright-daylight values of the moon in total sun, to brightness values so dim it wasn’t always easy to find the moon easily. Details are visible in this images as the Earth’s shadow creeps upwards on the face of the moon Sunday night, Jan. 20. This eclipse had a different look to it than the last lunar eclipse I photographed in 2015, which was yellow and orange, and more contrasty against the night sky. I was so glad I was able to host an event like this. The moon moves into the shadow of the earth in this 75-minute composite image of the lunar eclipse Sunday, Jan. 20, 2019, viewed from the Pontotoc Technology Center in Ada. This is an image from a recent basketball game “right out of the box,” completely unedited. You can see a preponderance of yellows and greens in this image. In situations like this, there isn’t really a correct in-camera white balance setting. 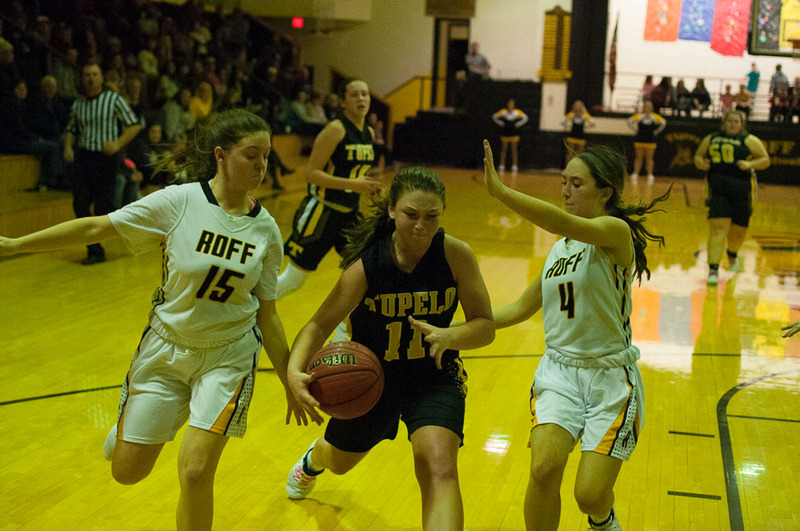 Basketball season is in its peak, and my newspaper and I cover a lot of games. 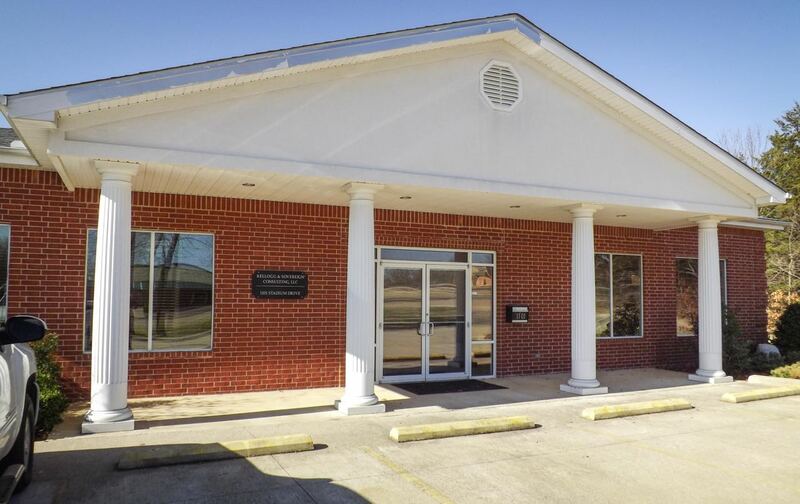 We have a great sports scene in our area, competitive and exciting. 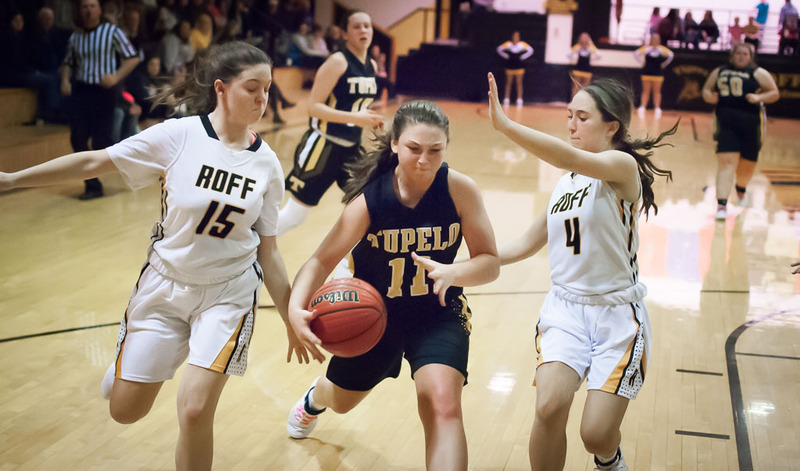 I wondered as I was photographing one of those games last week, a tournament-heavy week with lots of games, how many photographers face the same thing I do all the time: overwhelming color casts in certain gyms. Here is a screen shot of some of the tools I use to fix those hard-to-fix images. 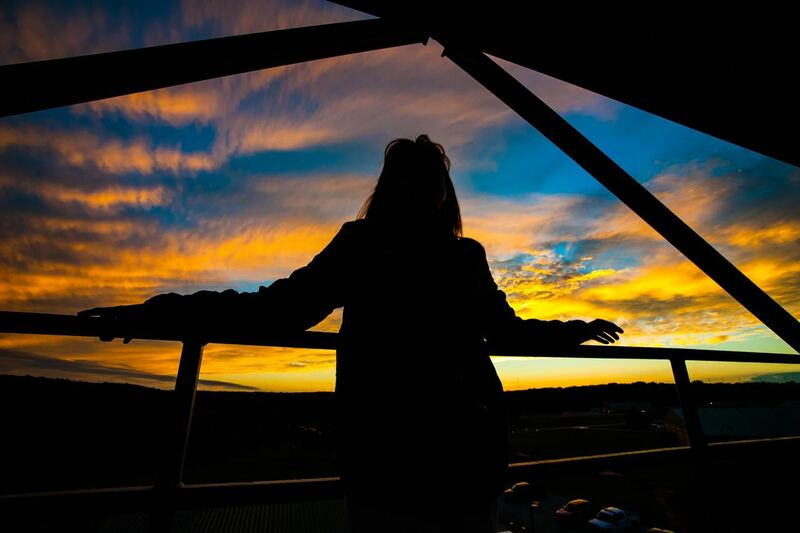 In fact, there were at least six other photographers in last week’s mix: Steve Sisney, Josh Clough, Jeannie Neal, Courtney Morehead, Glen Bryan, and Lonny Dorman. I am always glad to see them. The lighting problem comes from a combination of lights that are designed to be efficient (instead of color-neutral), and floor and ceiling colors that create a sort of color feedback loop. For example, several of the gyms I photograph have yellow school colors, painted on courts that are finished in yellowing varnish, reflected by yellowing ceiling tiles. These are nice places to work, and I love the opportunity to work at these schools, but the color balance in my photographs requires some very aggressive correction. How do I do this? I always, always shoot raw files. We in the photographic community probably preach about this too much, but it really is a game-changer. Raw files contain thousands or even millions of times more color values than standard JPEG files. I use additional color adjustments in Lightroom’s excellent Hue/Saturation/Luminance (HSL) dialog, which allows me to change not only the amount of the offending color, but also the brightness and the hue of it. I can use this to take a bright lime green basketball court and make it appear a very natural pale tan. The most important aspect of this, of course, is to create normal-looking skin tones of the players and fans. 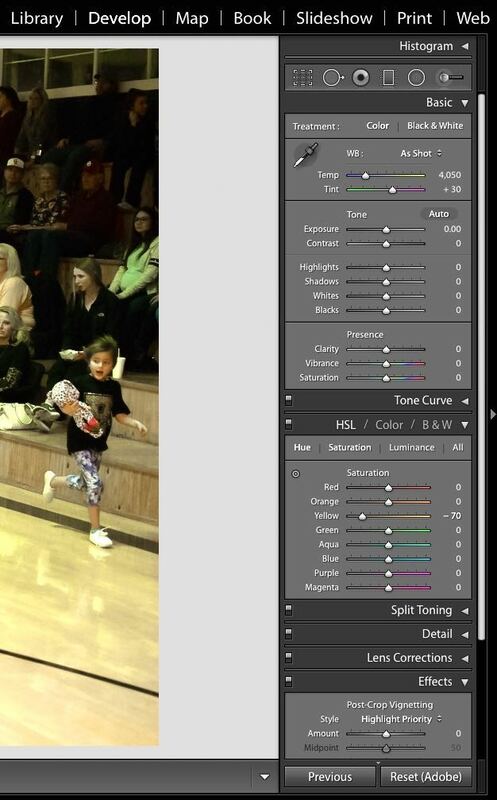 This can sometimes requires some very aggressive application of color sliders in Lightroom or Photoshop. As tempting as it is to use the pop-up flash instead of existing light at these venues, you will always be happier with existing light for sports. I see other people’s image from some of these places, and they all exhibit a common thread: difficult color balance. Take it from me: raw files plus aggressive editing can fix these problems, and result in very satisfying images. Here is the image as I submitted it for publication, cropped, filtered for noise, sharpened, and with the lime green and yellows dialed way down, resulting in better skin tones and an overall better image. I published this to social media recently and got almost no response. This might be due to the Christmas holiday, which is now over. If this interests you at all, I would urge you to share it on social media or create your own monochrome challenge on your web site. 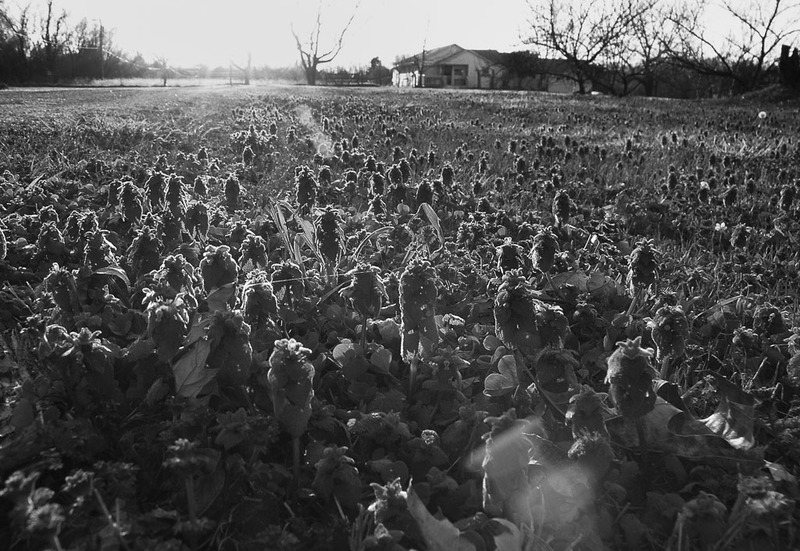 If you participate in PhotoLoco, don’t hesitate to post it there. 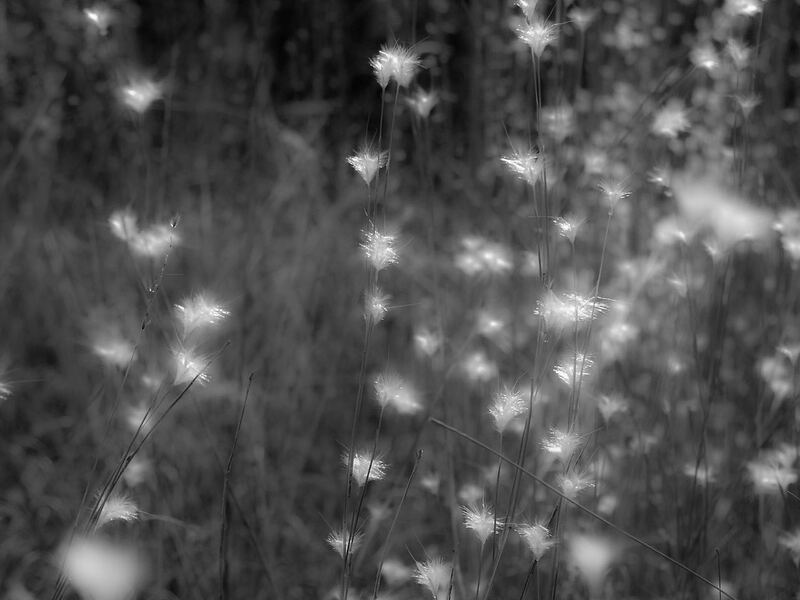 California-based Photographer Nic Coury recently acquired a Leica M246, a monochrome (black-and-white only) digital camera. He posted some images recently on social media, and they were very powerful, and perfect in black-and-white. 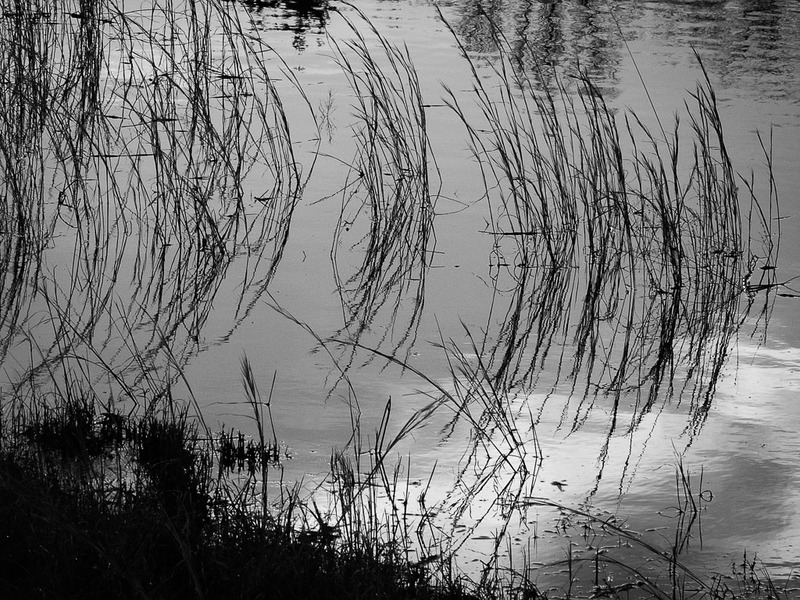 Thinking about this paradigm, I thought about how I sometimes like to shoot in monochrome mode to force myself to see things differently and take my photography outside its usual box. 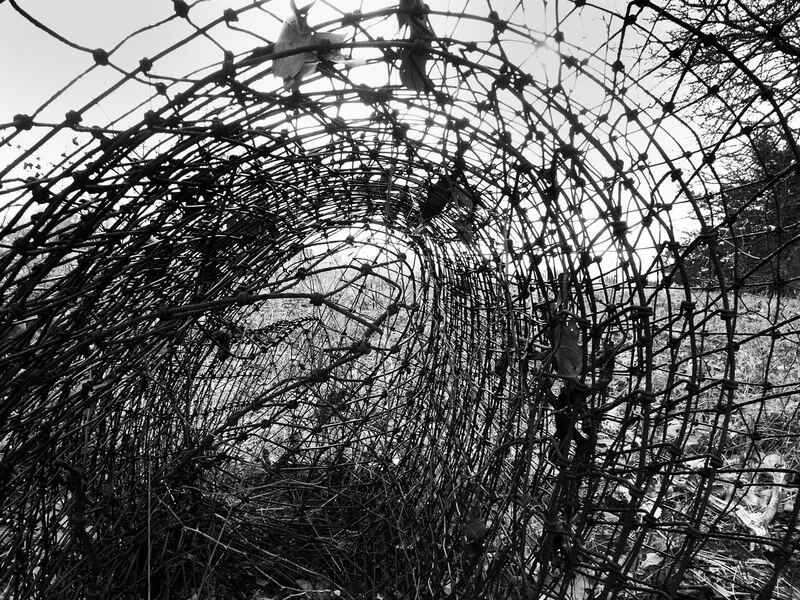 Barbed wire clings to a branch as part of a makeshift fence. 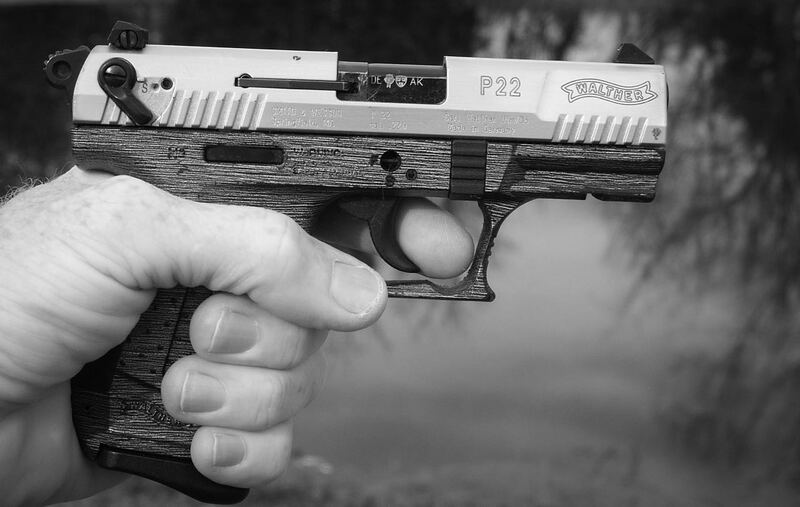 One piece of equipment California Nic probably won’t be able to legally carry is a sidearm. Given my recent experience killing a skunk, I feel justified continuing to carry a weapon. Our pond is full this fall and winter after a wet period in southern Oklahoma. 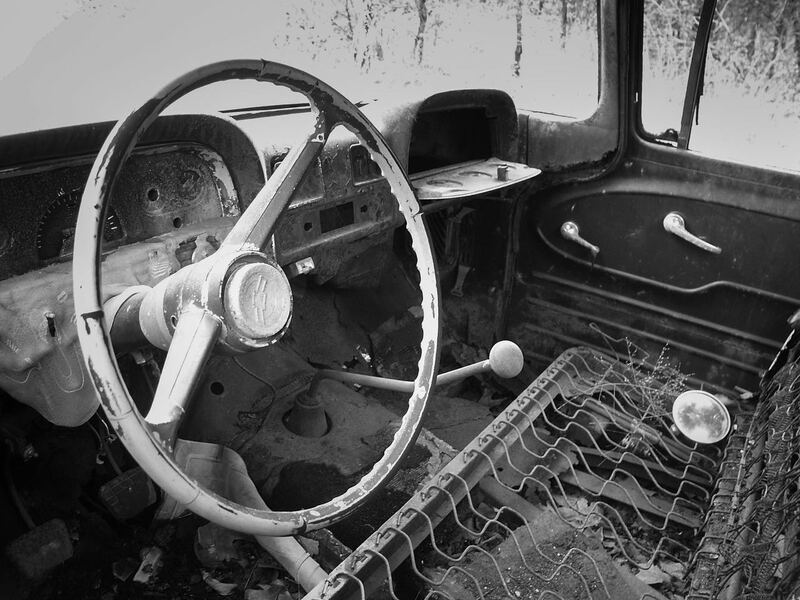 This very old truck is on the Palmer’s side of the fence, but they’ve never objected to me photographing it. These wheatgrass tips catch light all fall and winter. In contrast to my usual super-sharp-focus style, I chose to rack the “clarity” slider to minimum to enhance their softness. This woodland is at the western edge of the patch, just before the new highway. 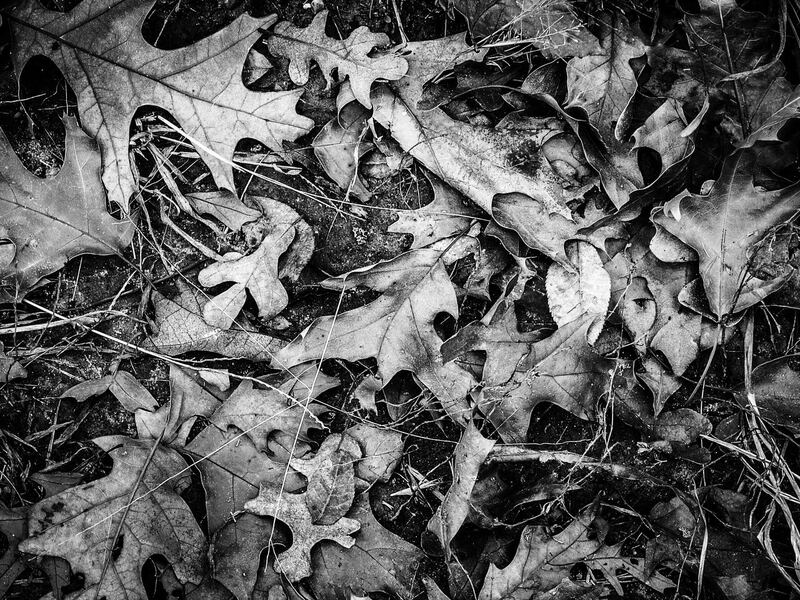 7 The muted light creates a deeply moody image of these leaves on the ground in the woods. 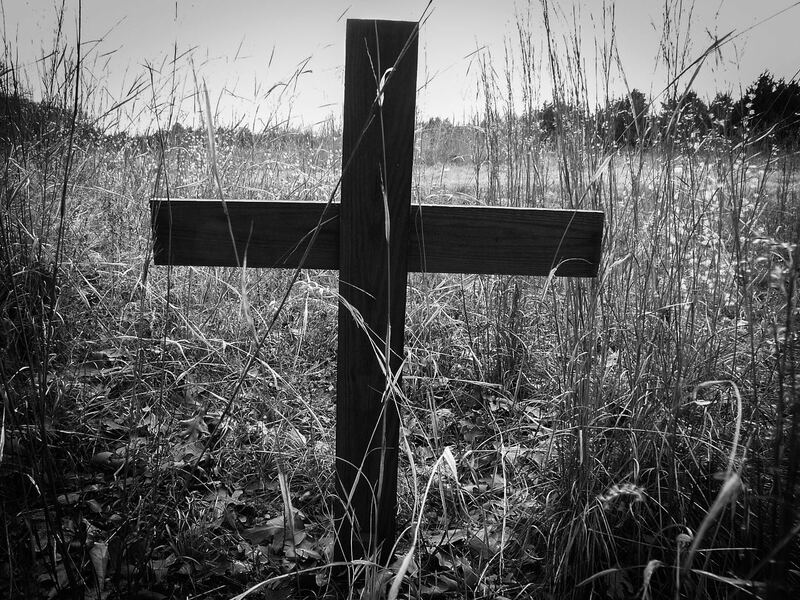 I don’t know what or who is buried here, except to say that this marker is at the head or a very foreboding trail that leads into a dark wooded area. 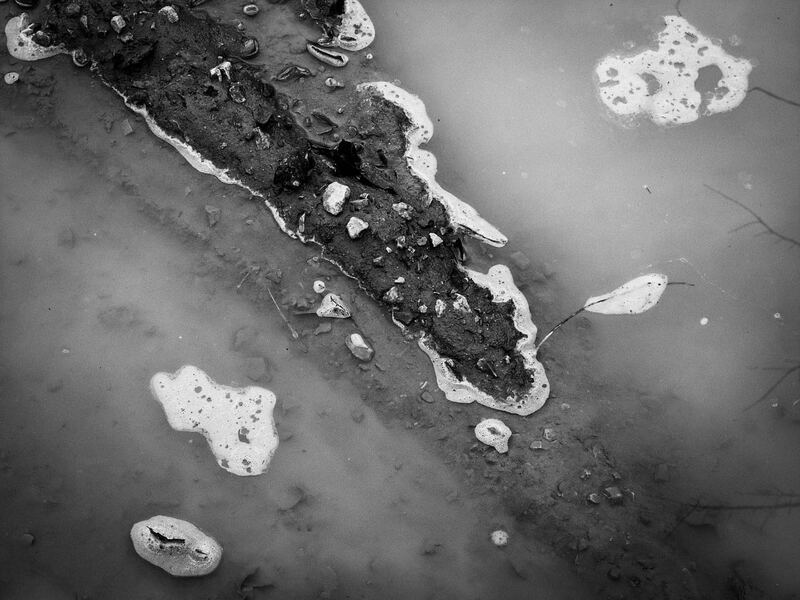 These puddles are caused by rain filling tire tracks from trucks that periodically come to pump oil and wastewater from oil wells. This bale of cattle panel fence has been on the north end of our property for at least as long as I have lived here, 15 years, and it has likely been here three times that long. 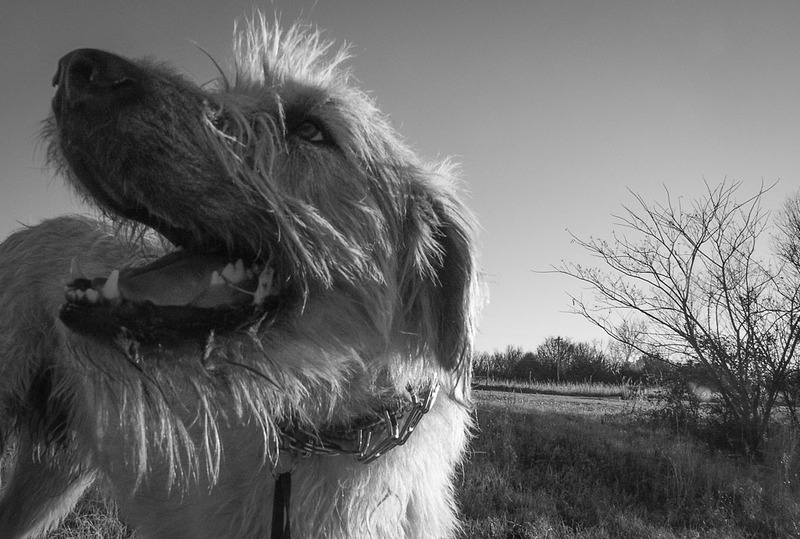 If you are a black and white fan or have something you would like to show off, we would love to see it, either on social media or your own site.